The term “landlords insurance” has both simple and in-depth definitions, the simple one being that it is insurance which protects landlords and their businesses. However, once you start to go in-depth you can see that the term “landlords insurance” can mean many things, including cover for your physical properties, your tenants’ contents, missed rent payments and even for when your property is unoccupied. In order to keep things simple most insurance providers use the blanket term “landlords insurance” to describe varying types of cover and levels of protection. As a landlord is it of the utmost importance that you have the right type of cover otherwise your business could be left vulnerable. If you are only just starting in the lettings business you may not be aware of the difference between home insurance and landlords insurance. The best way to separate the two in your mind is to think about whether other people will be living in your property even if it’s only for a short period of time. One of the biggest differences between home insurance and landlords insurance is that you won’t receive the same level of protection or care if something goes wrong. Remember: even if you are only letting a property for a short amount of time it’s essential that you have some sort of landlords insurance policy. Even though having landlords insurance isn’t mandatory by law, if something goes wrong you could find yourself having to spend thousands of pounds out of your own pocket. There are numerous benefits of having landlords insurance, most importantly that it means you can sleep well at night! As more and more people start to live in private rental accommodation the government is introducing stricter rules for landlords to ensure that tenants’ rights are protected. Your tenants are paying you for a service, which is to provide and maintain their homes. This means that if something goes wrong you are expected to fix it immediately, which is where landlord insurance becomes invaluable. Not only will your provider help cover the costs of repairs but they will also arrange for everything to be taken care of on your behalf, ultimately saving you both time and money. What type of Landlords Insurance do I need? When it comes to choosing the level of protection you require from your landlords insurance policy it’s always a good idea to remember the saying “it’s better to be safe than sorry”. By purchasing an extensive policy you will be protected against a wider range of issues such as tenants failing to pay their rent on time or damages to your properties when unoccupied for example. However, it’s also prudent to make sure that you are not paying too much for your landlords insurance or that your policy includes extras that your portfolio doesn’t require. For instance, some policies may offer cover for Houses in Multiple Occupation (HMOs), but if you are only renting properties to single tenants or families this may not be required. These days it’s easy finding a range of quotes online for nearly any type of insurance, and landlords insurance is no different! Even though it may take a bit of time to compare and contrast a range of quotes you will be glad you did in the long run especially if you get a great deal. Don’t forget that it’s also a good idea to check for quotes each time your landlords insurance policy is about to renew, that way you may be able to save year-on-year. If your business grows you should also contact your provider straight away to make sure that your newest purchase is protected! 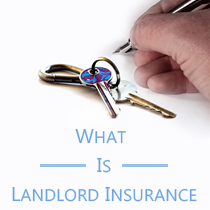 What is landlords insurance? Put simply, it’s any form of insurance that has been designed specifically to protect landlords against common issues and costly repair bills. Once you have a better idea of the type of cover you need you should be able to find a policy that is not only affordable but protects what matters most to you – your business.